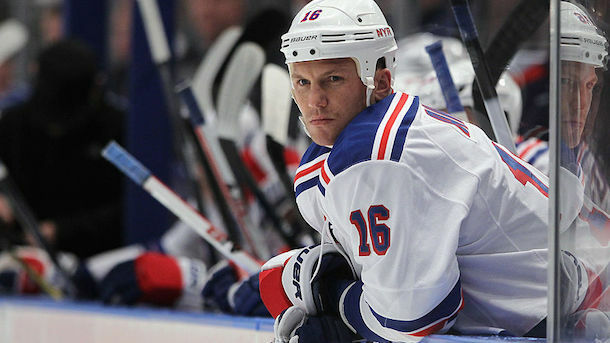 Sean Avery retired from the NHL over four years ago, but you’ll be happy to know he isn’t any less of a douchebag. A few years ago Avery made some headlines by flipping out on a stage hand at the off-broadway play in which he was performing. Now he’s gone and published a video of himself harassing homeless people on Snapchat. In the video, Avery—a guy who once got suspended for six games for referring to another player’s wife as his “sloppy seconds“—goes around waking up homeless people to ask them if they know what time it is. Why? Well, I’m not a psychologist, but I’d say Avery likes to make himself feel better by dumping on people who have it worse than him. I’d also say Avery craves attention, and if he can’t get it by being nice, he’ll get it by being a giant back of dicks. But that’s just me. @imseanavery acting like a clown….. In other news, water is wet and the sky is blue.